Before the review, I feel that some explanation is in order. At the start of this year, I was very frustrated with the amount of books I had read in the previous year. Despite my kind of reader apathy, I resolved to become a better reader. I had a copy of Bitter Legacy, which I had won months earlier on GoodReads, so I decided to finally read it. Before I knew it, a day had passed and I had compulsively finished the novel. Invigorated by my sense of accomplishment, I came up with the staggering goal of reading at least one book each week. I don't hesitate in saying that without this novel, this blog would have never been born. I have been amazed at all of the positive feedback and helpful comments I have received. I would never have imagined that this blog would gain such a diverse and loyal following. In a form of thanks to all readers, I am pleased to offer a re-post of my very first review, and a giveaway of this fun mystery novel. This is the fifth novel to feature Matt Royal, but as this was the first novel I read, I don't think it is important to read the other installments in the series before reading this one. From the moment I began reading this book, I could not put it down! The novel takes place over a weeklong period of time, and is divided into sections by the different days of the week(it seemed oddly fitting that I read this weeklong story as the first novel in my Book A Week challenge). With the fairly short chapters and quick pacing, this novel had me flying through the pages and kept me engaged to the very end. As a fan of great mysteries, interesting characters, and beautiful settings, I found Bitter Legacy to be a great read! 1. Use the link above to read the Amazon review. At the end of the review, indicate "YES" this review was helpful. 2. Leave your email address in the comments of this post, and indicate that you have completed the above step. 3. This giveaway will continue to May 12. 4. US and Canada entries only. Joseph O'Loughlin is facing some tough times. His fourteen year old daughter, Charlie, recently suffered a traumatic kidnapping and hasn't been the same since. He has separated from his wife of over twenty years, Julianne, and a divorce seems imminent. On top of all his family issues, Joe has been diagnosed with Parkinson's Disease, and the involuntary ticks are slowly taking over his body. A seasoned psychologist, Joe lectures at the local university, assists in court cases, and attempts to keep the last strands of his personal life from unraveling. Despite their strained relationship, Joe picks up his daughter and her best friend, Sienna, from school. He intends to take them back to the family home, but Sienna insists that he drop her off to meet with her boyfriend. Joe knows the "boy" is really closer to a man, but after a confirmation phone call to Sienna's mother, he agrees to drop her off. That evening, Joe receives a startling phone call from Julianne. Sienna has shown up at their home, catatonic and covered in blood. After sending the girl to the hospital, they learn that Sienna's father has been murdered at his home. Immediately, Sienna is committed to a hospital for psychological analysis, and becomes the only suspect in the murder case. She is unable to remember any of the previous evening's events, and has no reasoning to explain her father's death or why she was covered in blood. Joe sets out to reach Sienna, discover who killed her father, and hopefully regain a relationship with his daughter. 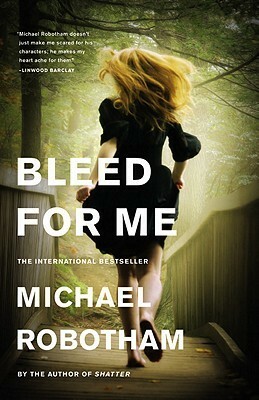 In the tradition of other "literary" detective authors such as Dennis Lehane and Tana French, Michael Robotham has written a grim and moving novel while never sacrificing the suspense. Each character has a unique sense of reality in them that Robotham is able to relay to the reader, without getting bogged down with descriptions. As each layer of this mystery unfolded, I felt more and more connected to the characters and to the situations they were presented. My heart ached for the troubled Sienna and the flawed O'Loughlin family. This is one of the best novels I have read this year, and readers should definitely take notice. It is not easy to write about music. I think everyone has experienced that moment when a song sets off some kind of emotion that you just can't find the words to describe. As a composer, I have always struggled with finding the words to describe my pieces. In my mind, I know what the piece is doing, but I am of the belief that it is much easier to music about music than write about it. Author and musician Rick Moody has tackled the unenviable task of writing about music for many years. In this book, he compiles a varied collection of essays and thoughts that shed some light on his views of our world of music. Of particular note is his opening essay "Against Cool" in which he chronicles the word's journey from truly meaning cool to becoming another way to say "neat". He begins with the origin of the "cool" bluesy jazz of Miles Davis. He argues that the commercialization and over exposure of the cool (think Kool-Aid or Kool Cigarettes) diminished the value of the word. 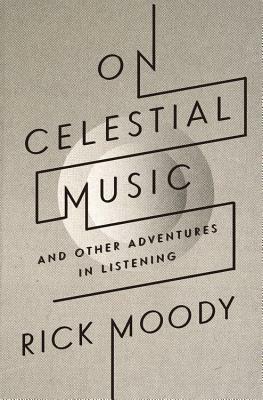 In another well written section, Moody attempts to grasp what the music of heaven will sound like. To me, this was the most effective section. Moody somehow manages to relay his emotional connection/response to certain pieces and artists (Simon and Garfunkel, Arvo Part, etc.). Through these descriptions and personal recollections, Moody makes an interesting point about the sounds of the afterlife, and admits his fears of nonbeing. Other sections of this book fail live up to the level of the better written ones. Like an album of music, certain essays really worked while others just fell flat. Despite Moody's fantastic writing, some of his pieces simply failed to come to any important point. With that in mind, this book is well worth reading for the many gems it contains. Anyone who has had a connection to music will find meaning in Moody's writing and gain a larger knowledge of the music that inhabits our world. To fifteen-year-old Cal, his father is like a stranger. The family resides on Loyalty Island, a costal Washington community that relies on the Alaskan king-crabbing season to provide economic stability. Each winter, Cal and his mother are left alone while Henry braves the harsh conditions of the Bering Sea. Despite Henry's well intentions, Cal feels a disconnect with his father. His mother, who moved to the island after falling in love with Henry and becoming pregnant with Cal, spends countless hours in the basement, listening to her large record collection and recalling her earlier years. Now that he is older, Cal is noticing trouble in is parent's marriage. They argue about whether or not he should become a fisherman like is father. His mother unrelentingly insists that he will complete school and find a job away from the community's difficult lifestyle. Even more troubling than the disagreements, however, is the amount of time that his mother spends with local tycoon John Gaunt. Gaunt owns the entire fleet of crabbing boats and the local cannery. When he suddenly dies, the entire business is left in the hands of his son Richard, who has never embraced the lifestyle of his father. As Richard threatens to disrupt the livelihood of the community, and Cal's mother, now pregnant and distraught with grief, flees to a friend's home in California, Cal is forced to remain with his father. When the winter crap season approaches, Cal discovers information that shows how far his father has gone to protect their way of life. What follows is a harrowing tale of a young man, forced to come to terms with his family, himself, and to decide what is the "right" thing to do. I was pleasantly surprised at how much I enjoyed this novel. This is author Nick Dybek's debut, but he writes with the confidence and simplicity of a natural storyteller. Each character is believably conflicted and their introspections, during a very unique situation, are subtle and genuine. Overall, the novel asks how far we would go to maintain a lifestyle and to protect the ones we love. 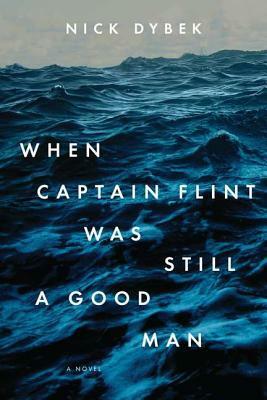 The story takes a bit of time to find its legs (oddly appropriate for a novel about fisherman and choppy seas), but the characters are interesting enough to keep the plot moving. The discovery in the middle of the novel left me shocked, and the last half had me completely riveted. This is an extremely solid novel that expertly blends strong characters with a vivid setting, original plot, and a moral awareness that is rarely found in debut novels. Every detective has a case that haunts them. For former LAPD Detective Danny Mcguire, that case is the murder of millionaire art dealer Andrew Jakes. When police arrived at the Jakes home, they found the elderly Mr. Jakes savagely murdered and tied to his much younger wife, Angela, who had been brutally raped. With stolen art and jewels, the scene looks like a horrific burglary. Suspicion is placed on the young Mrs. Jakes, who survives the incident and whom Mr. Jakes left his entire fortune. Surprisingly, Angela leaves her entire windfall to a local charity, and disappears from LA. With his number one suspect/witness gone, Danny Mcguire is left to ponder the case with no leads. Ten years later, Danny Mcguire, newly married, living in France, and working for Interpol, has all but moved on from the Jakes case. He is still haunted by the look in the young wife's eyes, but has accepted that he will never know the truth behind the killing. Then one day he is contacted by Matt Daley. Daley is a struggling script writer who happens to be the estranged son of Andrew Jakes. In an attempt to discover a compelling story, he looks into his father's case and finds that other murders fitting the exact profile of his father's have occurred in various cities around the world. When his relays this information to Danny, the two embark on a fast paced, world wide investigation to uncover the truth behind these murders. Although the bestselling author, Sidney Sheldon, passed away in 2007, author Tilly Bagshawe continues his tradition of fast paced, intriguing mysteries in a expert manner. This story had as many plot twists as we've grown accustomed to in stories like this, and the ending is sure to leave readers reeling. The beginning of this novel has several time, location and character changes over a short number of pages. While this is vital to the telling of the story, I felt that the jumps could be a bit confusing. Fortunately, I stayed with it, and the last two-thirds of the novel were clearly written and very entertaining. 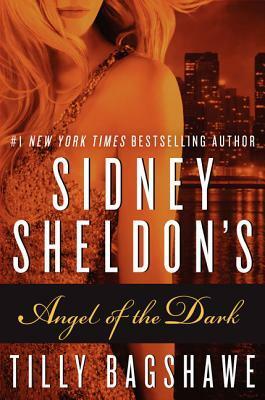 This novel is a solid addition to the mystery genre and a nice continuation of the Sidney Sheldon legacy. After reading Bitter Legacy, the fifth novel in the Matt Royal series by author H. Terrell Griffin, I knew I wanted to read the earlier books in the series. Blood Island, the third installment in the series, hits the ground running as Matt Royal, a former soldier and lawyer who has retired to Longboat Key, Florida, finds a body in a vulture cage at a local wildlife refuge. We learn that trouble seems to follow Matt, but fortunately, his friendship with the local police chief helps to assure the authorities that he was simply in the wrong place at the wrong time. Upon his return home, Matt is shocked to learn that his ex wife, Laura, has left a message to arrange a meeting with him. When they get together, Laura explains that her stepdaughter, Peggy, has been missing and was last seen on Longboat Key. Despite the divorce, Matt still loves Laura and agrees to help search for the missing girl. As he investigates the disappearance, he finds himself involved with murder, religious cults, prostitution, and terrorist attempts. 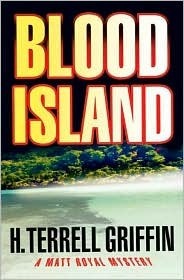 All this, he learns, is linked to the mysterious Blood Island and the people who own it. When Laura also goes missing, Matt races to unravel the mystery before it is too late. Griffin clearly has a great love for Florida. The setting and the people who inhabit this story all carry a type of reality that can only be portrayed by someone who has experienced them. In the hands of any other author, this kind of fast paced thriller could become shallow, but Griffin infuses enough emotion, historical fact, and suspense to keep the reader thoroughly invested in the story. In a genre that is often filled with plot based story telling, it is nice to have a book that keeps a sense of truth while still providing entertainment. This novel is a quick read and a really fun mystery. As a fan of mystery/thriller novels, I am always looking for great new series to read. 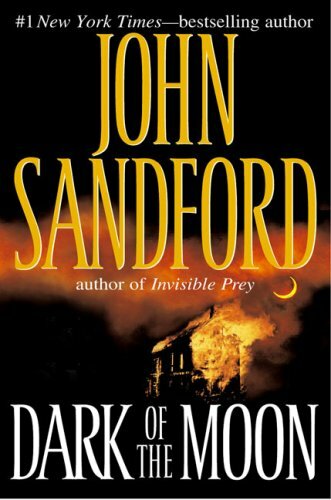 Despite numerous recommendations, I have never read a novel by John Sandford. To date, he has published 21 novels in his popular "Prey" series, but I decided to begin with his more recent series, featuring Virgil Flowers. Flowers is not your run of the mill detective. He keeps his blonde hair at a surfer length, wears "band" t-shirts, and has a kind of bad boy reputation. Despite these quirks, Virgil Flowers knows how to get the job done. Three years ago, he was hired by Lucas Davenport of the Minnesota Bureau of Criminal Apprehension to help solve "the hard stuff". When he gets sent to the small town of Bluestem to investigate the gruesome murder of a local doctor and his wife, he is thrust into the center of the "hardest" one he has ever faced. Upon his arrival, Virgil witnesses the home of Bill Judd Sr. explode into flames, killing the local business man and leaving Flowers to believe that the apparent arson, now murder, is connected to the town's other recent events. With the assistance of the young Bluestem Sheriff, Jim Stryker, who is desperately seeking the approval of the town for reelection, Flowers uncovers a decades old conspiracy of financial fraud, lustful infidelity and a possible drug operation that threatens to rock the sleepy town. Add to all of this a psychotic serial killer, and you've got one exciting novel. John Sandford seems to have found the perfect balance of plot, character, and setting that makes his novel compulsively engaging. In Virgil Flowers, Sandford has imagined an oddball protagonist that you can't help but root for. Sandford's simple prose keeps the story moving while still providing enough description to give the reader a sense of the small town setting. I felt the ending was a bit rushed, but the clever twists and interesting characters make this novel worth reading. I look forward to encountering this character in the other four novels in this series. After reading this, I have to agree that John Sandford produces strong thrillers. Perhaps I will try to tackle the 21 volume "Prey" series in the near future.